Now that the farming season is ramping up our farmers are getting back to the grind of managing their farm labor. 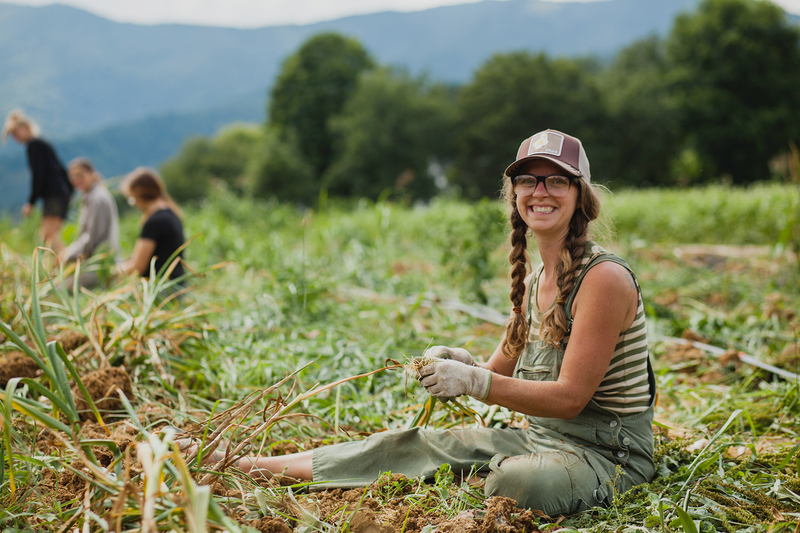 Whether it be apprentices, kind neighbors, or hourly workers, the farmers in WNC rely on all kinds of labor to get them through the busiest seasons. This winter, we hosted a CRAFT Farmer Round Table entitled “You’ve Got Labor — Now What?” This was an important time for our farmers to put their heads together on the good, bad, and ugly of farm labor management. We had three obvious themes emerge during our discussion, and below each are summarized. Lots of farmers had questions pertaining to how to work with apprentices of various skill levels, apprentice empowerment and decision making (specifically for apprentices returning for a second year on the farm), and who to trust with what decisions. Apprentices come into farming with varying experience. People without experience don’t end up being very skilled workers, but their enthusiasm and energy level sometimes is higher than people who have more experience. There’s of course a million details on every farm. So the question was posed, “How much of this can we be reasonably responsible for asking someone to do?” Making sure that they have the right training is very important. Whether they’re just starting their farming journey or have been on it for some time, it’s important to help assemble the building blocks of their learning so you can eventually trust them to make certain decisions and ultimately lessen your workload. Apprentices can seem like a drain in the beginning, but if you train them fully in your thought process the chances of them being more helpful later in the season increase. And it’s important to understand that not everyone knows how to do everything, and work on finding tasks that they want to do and are appropriate for their skill set. It was decided that in order to keep encouraging leadership and ownership within employees, it’s important to give them more responsibility. It’s important to instill in your farm leadership the idea of forethought and planning from the beginning. Some farmers suggested a field walk every week to discuss tasks with the farmer leading; this teaches everyone how the farmers are thinking and prioritizing so they can become accustomed to recognizing the next obvious steps. Another farmer makes the task list with her apprentices; after a few months, she has the crew make the task list on their own and then come back and check-in. She gives them their crop plan and the task list from the previous week and talks them through any feedback. One of our farmers was getting ready to pass her farm management responsibilities on to a 3rd year apprentice. She was encouraged to define that person’s physical areas and responsibilities specifically, setting expectations for all decision-making rolls so they felt ownership of their responsibilities and weren’t concerned about stepping on the farmers toes (or vice versa) when important decisions need to be made. It was suggested simply that the farmer should be working on “important”, big picture matters, and the farm manager should be focusing on the “URGENT/important” matters (this concept is from Richard Wiswall’s Important/Urgent Axis). Many of our CRAFT farmers rely on the traditional apprenticeship model of farm labor, which apprentices receiving a stipend and possibly room and board in exchange for an agreed upon amount of work. Here at Organic Growers School we believe that education should be a major part of the ‘compensation package’ at any farm apprenticeship. The apprenticeship model relies on a labor force willing to work for (often) less than minimum wage, and with that comes the responsibility and dedication of our CRAFT farmers to training the next generation of growers by providing education as a pinnacle element in their farm apprenticeships. Growing For Market has published an article about how to attribute value to various amenities that you may offer as part of your apprenticeship (note to reader: articles are only available to members). Another way to help calculate this value is through the Living Wage Calculator webpage that assess each county in the country. There’s a lot of grey area when it comes to farm apprentices, but there was a general appreciation grey area amongst the group. Once apprenticeships become legally defined, the barter approach of values of the room, board, education, etc. can be compromised. Although there’s not a formal way to calculate the value of education, one of our farmers chalks training into her quality of life — training them adequately means that she doesn’t have to meet them on a Saturday for example. She also has a training program that she created to onboard her workers. Training for her is more about efficiencies than micromanaging. Her training documents outline expectations of harvest product quality mostly; how they get there is not so important to her (it’s important to note all of her employees are paid contractors, not apprentices). Another farmer (who does work with apprentices) took one person at a time and created task protocols. Another, less experienced (but learning!) pair of eyes on it helped him elaborate where he needed to, and cut down on the less important things. Now he has a good list of procedures that just need to edit. But, if the apprentice isn’t excited about learning to farm, chances are the exchange won’t be fruitful for either you or them. CSA shares to family members of apprentices. Let them pick out the music for the washstand — made Spotify mixes with music you know they’ll like. Celebrate birthdays — hour on the clock with beer! Group lunches and sharing food, drink beer and grill meat in the evening. Make them feel noticed and appreciated — saying thank you when things are done right. The thank you thing is huge — it’s really noticeable when someone doesn’t say thank you. If it’s 4:30 and there’s a natural stopping point, recognize everyone’s energy level. Sometimes, quit early and go tubing! Invite them to social events. Ask their opinions and feedback. Remember: farming is a lifestyle, not a job, and finding someone who’s as dedicated as you are is difficult! Correctly classifying workers is important for legal and financial reasons. On the farm, there are some especially grey areas when it comes to classification. Generally, if someone has day-to-day supervision with varying tasks, they are considered an employee (or, in this case, apprentice). A worker is an employee when the employer directs and control the day to day work performed by the worker. Employees might use the farms’ equipment and take direction directly from the farmer on a daily basis. Apprentices are generally considered employees and should have a W2 filed for them. 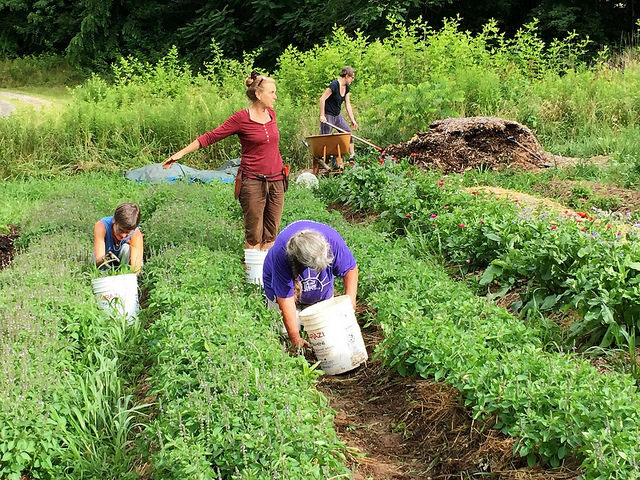 Small farms are exempt from minimum wage laws in NC as long as workers are engaged in “production oriented farm work”. Taking this distinction into account, workers who are selling goods at the market are not technically exempt. Workers compensation insurance is required in NC if the farm has three or more employees. One of our farmers recommends using Mona Wade at Westfield Insurance (though you have to have a bank account through BB&T). An independent contractor typically brings their own tools and has a specific contract with a list of tasks to be completed. Opportunity for profit or loss is often an indicator of an independent contractor. Some farmers grow a crop and contract someone to harvest it. This would be an obvious 1099 scenario. One of the farmers considered her contract workers such because they determine their own schedule (within the limitations of the proper harvesting time period), they are self-driven, self-directed, and have their own tools that they are responsible for maintaining. Businesses with employees are in a higher tax bracket than businesses without employees, which can be a benefit to sticking with a contractor labor force. Considering type and degree of instructions given, evaluation systems, and financial control are all important when classifying workers. Please note that OGS specifically suggested that all farmers work with a legal expert in order to correctly classify and tax workers. Find more resources on our Farm Labor Resource page. 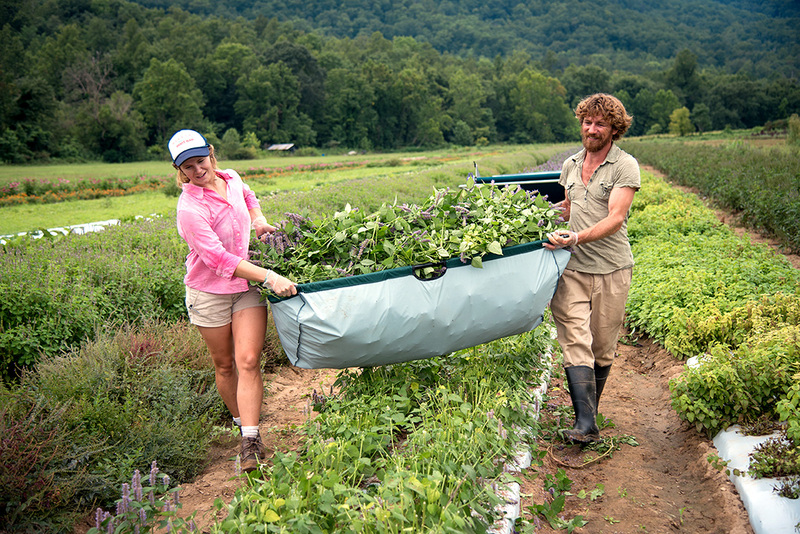 Organic Growers School offers an extended day-long Managing Farm Labor workshop periodically in the Southeast. Sign up for our newsletter to keep updated on our upcoming workshops!